The light bulb from above surrounded by a plastic pot to mimic the shape of the colony. 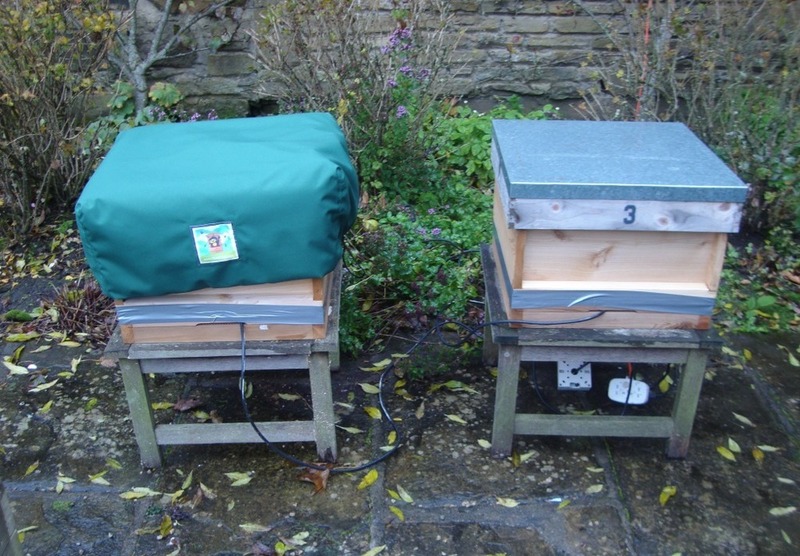 To test the impact of a Bee Cosy, we set up two identical hives. Each one comprised of an open mesh floor with a varroa tray inserted, single brood box, crown board and roof. To simulate the energy used by a colony to maintain core cluster temperatures, each hive was fitted with of 14W low energy light bulb. Research indicates that this is near to the energy level of a colony when temperatures have fallen to 0C to 5C. Wireless temperature sensors were placed near the centre of each crown board. 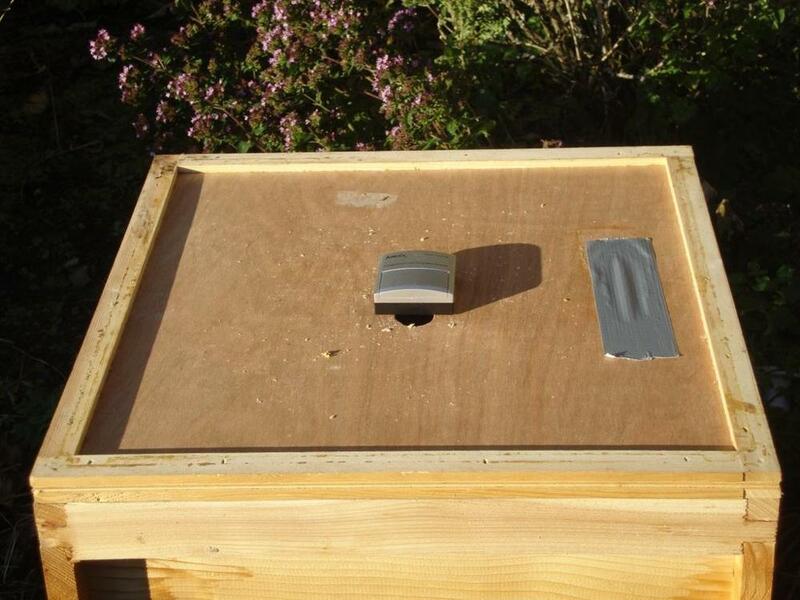 On the hive to be protected by a Bee Cosy, a sensor was also placed between the hive roof and the Bee Cosy. One hive was fitted with a single brood Bee Cosy - the other left bare. The test was carried out in calm conditions with little wind and light rain. 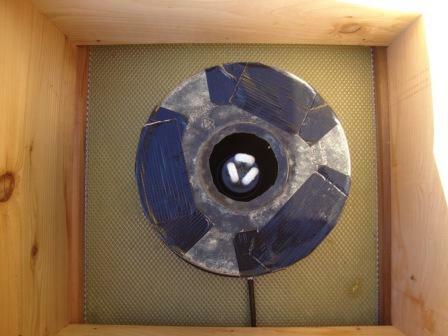 Results show that under these conditions the Bee Cosy is able to increase the temperature that can be achieved above the crown board by 2C to 3C. In the UK according to the Met Office's figures on average UK temperatures this is equivalent to moving your bees 300 miles south for winter!